The Digital Millennium Copyright Act (DMCA) is a federal law that helps protect people from online copyright infringement. 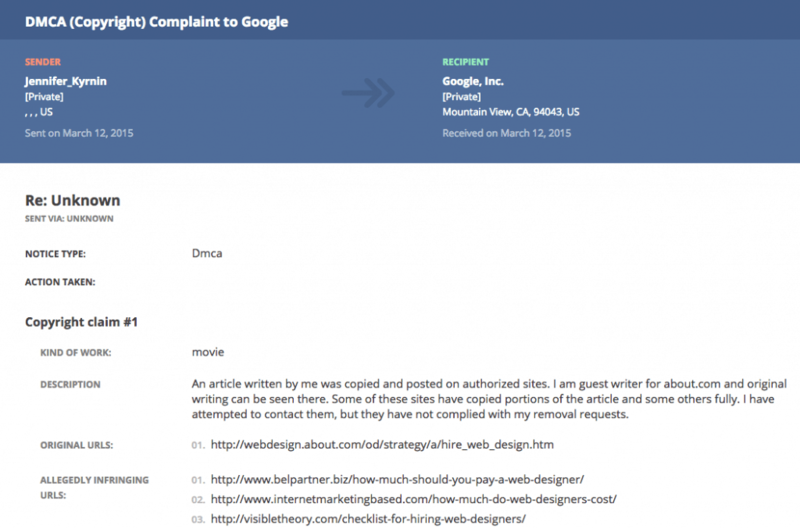 If someone discovers that someone else has infringed on their online copyrights they can file a DMCA complaint. An example of this would be copying and pasting content from another website onto yours without being given permission. In doing a search for “website developer”, if you go to the bottom of the search results you will see this message. “Most people will tell you that the most important thing is experience” or “If a designer says they’ve been building websites since before 1995, they are almost definitely exaggerating” or “While experience might not be important, having a good portfolio” or “To assess this in a Web designer, you need to know what you need on your website”. Finally it shows a list of 18 allegedly infringing URLs! 18! How hard is it to write your own content people? If I was a small business looking for advice or help with digital services I’d definitely stay away from any of these companies. It’s very discouraging how many people will take content that doesn’t belong to them. It’s also disappointing that Google isn’t able to “police” this situation very well. Hopefully over time, Google will improve in this area. If you are looking for a company to help manage your website, provide copywriting services or other digital marketing services it would be a great idea to do some research on the companies you are interested in. One way you could do this is by going to Chilling Effects and do a search for their domain name. This way you can see any claims that mention that domain name. Then you should review each one and look at the list of allegedly infringing URLs. If the companies domain name is listed it is probably best to stay away from them since they may be involved in stealing content from other websites either for their own lazy use of for use on their clients websites. Here is the recreated Copyright Disclaimer. 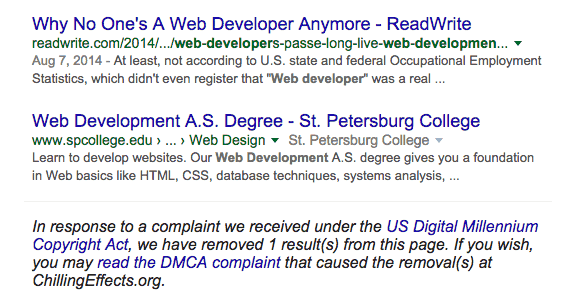 In response to a complaint we received under the US Digital Millennium Copyright Act, we have removed 1 result(s) from this page. 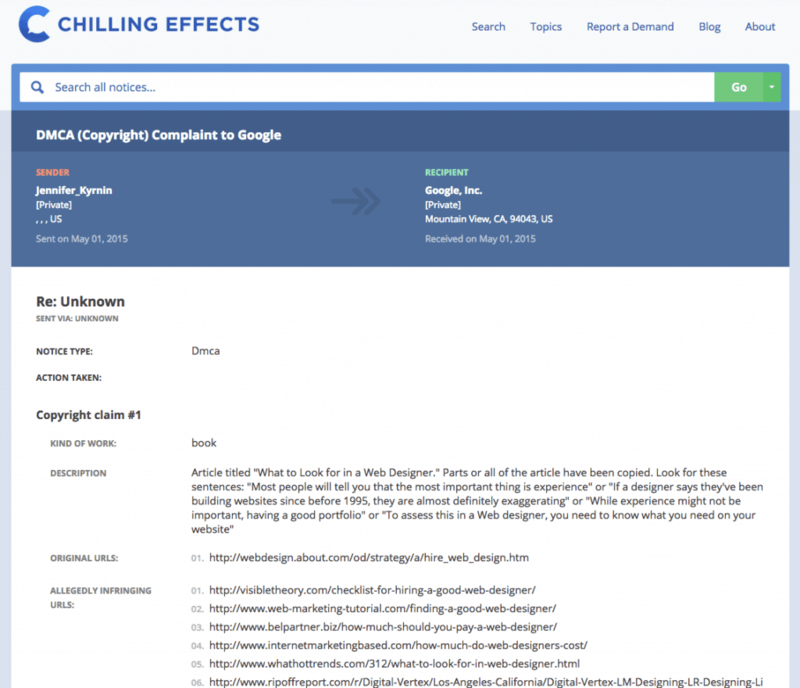 If you wish, you may read the DMCA complaint that caused the removal(s) atChillingEffects.org. Dani Owens, the owner of Pigzilla, has been in the digital marketing field since 2011. Her resources have been mentioned and shared by local SEO experts such as Eric Ward, Darren Shaw, Phil Rozek, Marie Haynes, David Mihm and Local U. She builds customized local SEO programs for each of her clients that are carefully designed​ to 1) increase rankings, 2) build website traffic and 3) get more phone calls, emails and visits to their business. I collect, review and select the most important SEO news and send it to you once a month. Enroll to receive SEO news alerts from Pigzilla. 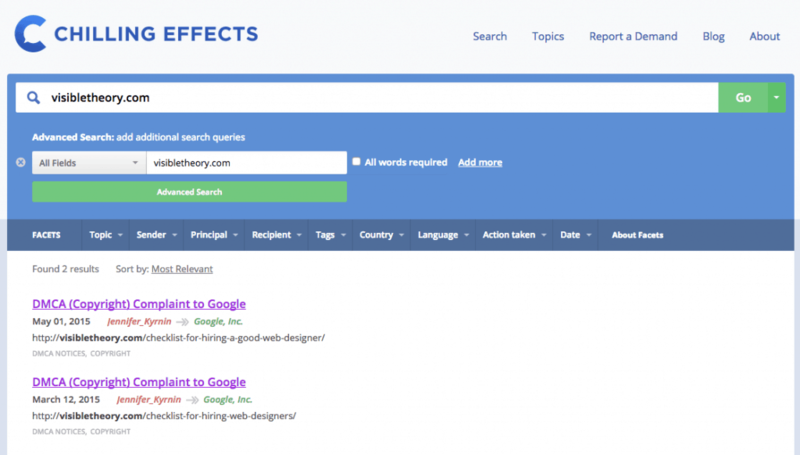 Can You Markup 3rd Party Reviews On Your Site With Schema?